– 8 Weeks to WOW! It’s more than likely that you have landed here because you have seen the incredible results our Celebrity Transformation Coaches Chief Brabon & Emilie Brabon-Hames have achieved for such high profile Aussies as Multi-platinum Singer/ Songwriter Guy Sebastian & his TV Presenter/ Wellness Ambassador wife Jules, Home & Away hunk James Stewart, much loved TV Presenter Larry Emdur, Host of The Bachelor / Bachelorette Osher Gunsberg, Home & Away hottie Sophie Dillman, and most recently Doctor Doctor heartthrob, and tough guy on Netflix series Glitch, Rodger Corser . The media, both here in Australia, and overseas, can’t stop raving about the jaw dropping transformations that Chief & Em have achieved time & time again, leading to the scores of cover features (as seen above), articles and TV specials. Well now it’s your turn to achieve your health & fitness goals. 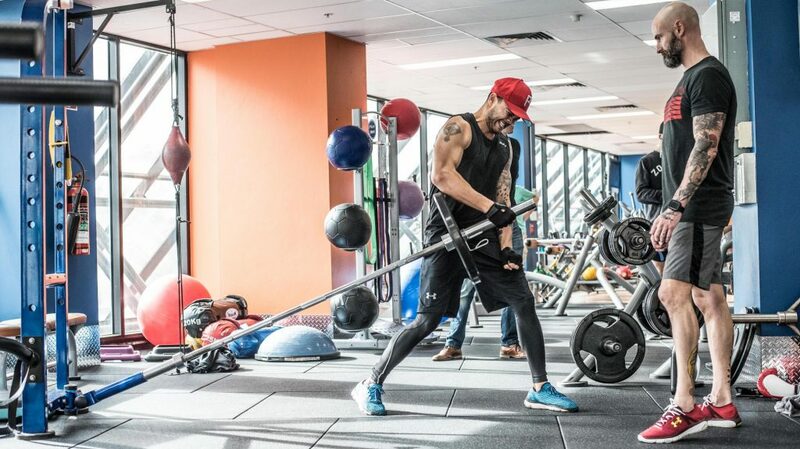 Multi-platinum Singer/ Songwriter Guy Sebastian training with Chief Brabon at SKWODFIT – Maroubra Junction. The choice of high profile singers, entertainers, TV presenters, actors, business leaders and professional athletes, our SKWODFIT™ Face to Face Coaching option provides the best of everything. Not only will you receive a customised nutrition program designed and managed by Emilie to achieve your personal goals, while taking into account your likes, dislikes, allergies and medical requirements, but we will also have Chief engineer a training regime that will achieve results beyond your expectations. Chief & Em are currently accepting applications for a very limited number of timeslots. Aussie Actor Rodger Corser training with Emilie Brabon-Hames at SKWODFIT – Maroubra Junction. 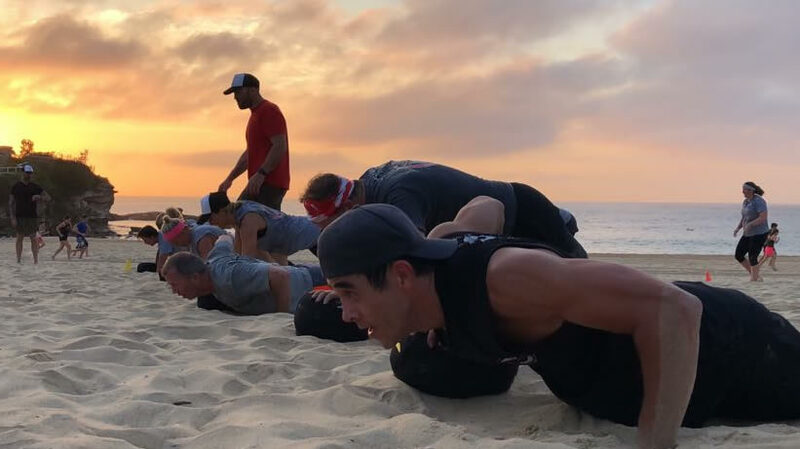 Home & Away Actor James Stewart training with the ORIGINAL BOOTCAMP – Coogee Beach Platoon. Through our most cost effective face-to-face training option ORIGINAL BOOTCAMP™, thousands of our “Recruits” have achieved such jaw dropping results that they have been featured on covers of more than a dozen leading fitness publications. Founded by Chief in the early 1990’s, ORIGINAL BOOTCAMP (OBC) has grown to become the world’s longest running and most respected bootcamp fitness program. It was the first Australian based fitness program to be featured in the New York Times, and the first fitness program of any kind to be featured in Rolling stone Magazine‘s annual Hot issue. For a mere fraction of the cost of Personal Coaching (less than $20 a session), you can still train under the direct guidance of Chief and Emilie themselves at either their Sydney CBD location (Cook + Phillip Park) or on beautiful Coogee Beach. 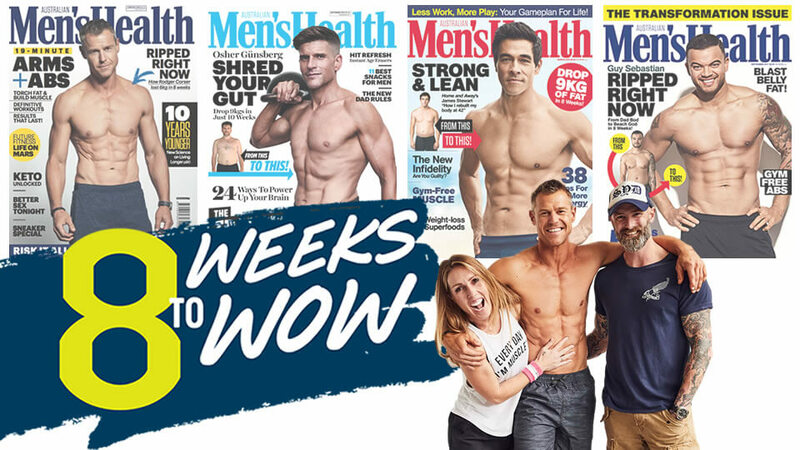 Three times a year Chief & Em offer the ORIGINAL BOOTCAMP – 8 WEEK CHALLENGE which combines face-to-face training with their hugely popular 8 Weeks To WOW!® online program, which also includes the same app that actor Rodger Corser utilised to achieve his amazing transformation. The next OBC – 8 Week Challenge kicks off on the 4th February 2019. To book in for the Challenge, or to enlist in our January bootcamp course simply email Emilie directly at Em@TransformationCoach.com for more details. Alternately, if you can’t attend either our Sydney CBD or Coogee Beach OBC programs, head to www.Bootcamp.com.au to find a full listing of our close to 50 licensed ORIGINAL BOOTCAMP locations right across Australia & Malaysia.